I made a simple card today using only two dies, both from Spellbinders: Spiral Blossom One and Foliage. The roses were glittered, a double-looped bow was added and the sentiment was elevated with pop dots. Beautiful!! I love the rolled flowers!!! OH WOW look at those beautiful flowers! Great job Ginny! Thanks so much for playing in our ‘Anything Goes with Dies’ challenge at Dies R Us! Please come back again soon! Your flowers are awesome and so well executed! Love it! Great composition and beautiful execution! Thanks for strolling down our street at 613 Avenue Create! Beautiful card, these flowers well done :) Thank you for participating in our challenge from Dies R Us! 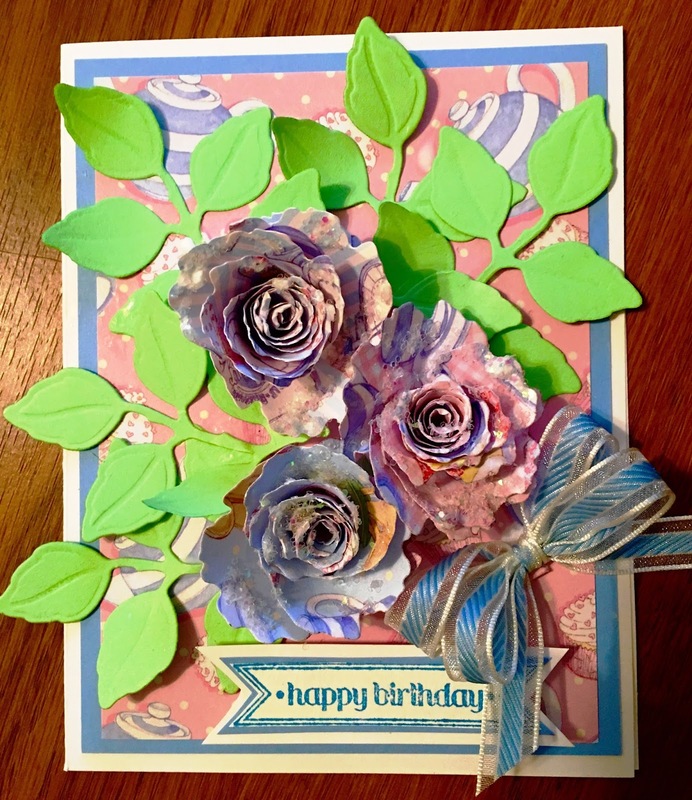 Beautiful floral card. I love the bright colors. I have those dies and haven't tried them Congrats on your DT spot. Thank you for joining the DL.ART Thankful Thursday Anything Goes January 2017 Linky Challenge. 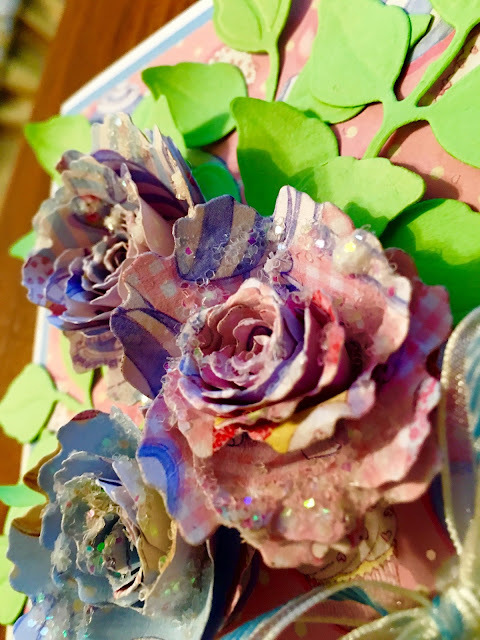 Ginny, you did a beautiful job on those roses - love the glitter! A lovely, colorful card that will brighten someone's day. You also did a great job on your double-loop bow. Thanks so much for joining our January challenge at Craft-Dee BowZ! Beautiful roses Ginny, especially with the paper you used! I also really like the double bow you created - that ribbon is gorgeous! Thank you so much for sharing your project and creativity at 613 Ave C! Stunning card! Those flowers are gorgeous! Thanks for playing along with us at DL.ART Challenges!